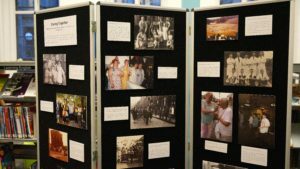 Leeds Libraries and the Big Lottery have combined to develop the History Pin Project in Leeds.Their aim is to bring older adults together to share stories and memories of the history of Leeds, as told by the people who have lived through it. 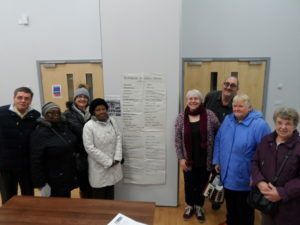 Caring Together have been fully supportive of the project since its inception and were delighted to welcome the project to our groups last week A big thanks to Sharon Hughes, the project worker with History Pin, for sharing resources from library archives with our members. Thank you to Lisa for her stellar work with volunteers over the past year and her dedication in providing a full range of opportunities for volunteering and also her support for individual volunteers. 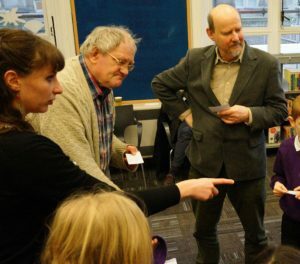 Last week saw the end of project exhibition for the Wordsworth Project, a collaboration between the Wordsworth Society, Leeds University, Caring Together and Shire Oak Primary School. 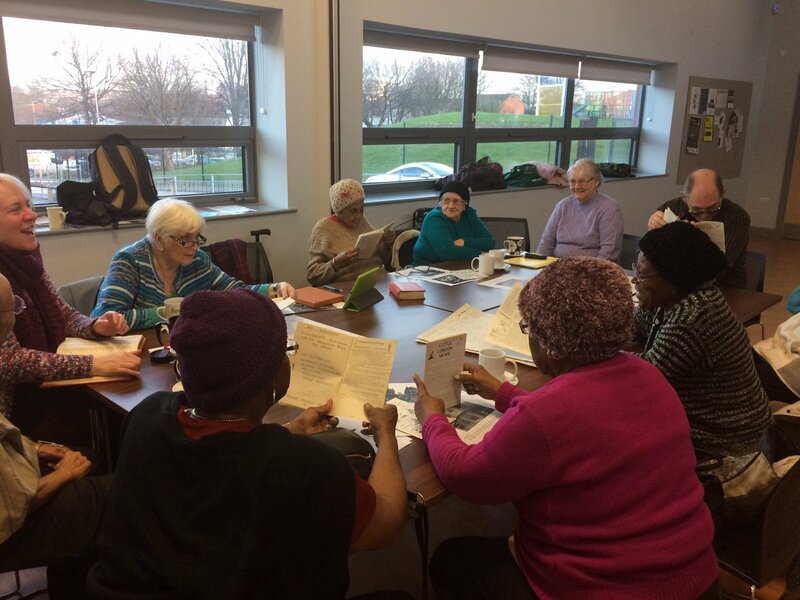 Caring Together members have thoroughly enjoyed the project with one person saying that ‘it was the best thing that I have been involved in for ages’. 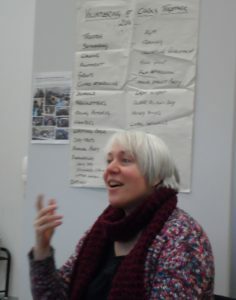 A big thanks to Anna Fleming from the Worsworth Project who facilitated the project with so much enthusiasm. 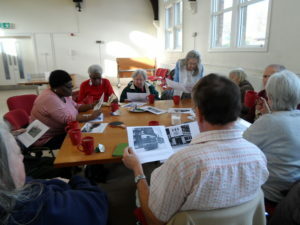 Are you looking to become more involved in the activities of your local community? 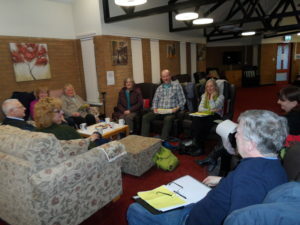 Would you be interested in becoming a Trustee with Caring Together? Trustees are responsible for the proper administration of the charity. Trustees must ensure that the charity’s assets and resources are used only for the purposes of the charity and that the charity is run in accordance with its constitution, charity law and all other applicable laws and regulations. Currently Caring Together has space for perhaps another 2 trustees. 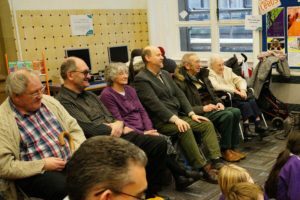 Ideally, to achieve the skills and experience balance on our board one should have experience within business and one should be a local older person. If you feel that this is for you contact John O’Dwyer on 0113 2430298 for an informal chat. 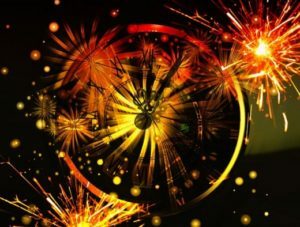 Caring Together would like to offer our best wishes for 2017 to all of our members and supporters and to those whom we will be working closely with over this New Year. Your support over the past year has been invaluable and is very much appreciated.